When Aberdeen has been mentioned as a possible tourist destination, there have historically been raised eyebrows. After all, for years this was regarded as an oil haven and tended to only attract those professionals who were desperate to cash in on the reserves that the area around it holds. Of course, the fact that the city has been long associated with such a lucrative industry has seemingly paved the way for tourism. While it offers a completely different getaway when compared to the likes of Edinburgh, which often grabs the headlines for Scottish trips, it does have some really interesting attractions that tourists should be aware of, as well as some really good value hotels. Let’s now take a look at them in greater detail. It won’t come as a surprise to read that maritime can form an important part of Aberdeen’s tourism, and this museum probably highlights it in the best detail. It manages to depict the history of the Dee estuary’s port, while for those interested in the oil history of Aberdeen this happens to be the only museum in the entire UK which has an exhibition about North Sea petroleum. Located at Duthie Park, this happens to house one of the largest indoor gardens in the whole of Europe. It should go without saying that it has every plant you can possibly think of – plucked from all around the world. This is also an attraction that’s perfectly fine to visit in the summer months as well. This is because Duthie Park itself is 44-acres, and has umpteen flower beds, ponds and other luxurious green spaces. If you time your visit, there’s also a bandstand that is regularly used as well. Dunnottar Castle is a ruined medieval fortress. It sits high upon the northeastern coast of Scotland in Aberdeen and close to Stonehaven. What you will see are the surviving buildings which are of the 15th and 16th centuries, but the site is believed to have been fortified in the Early Middle Ages. 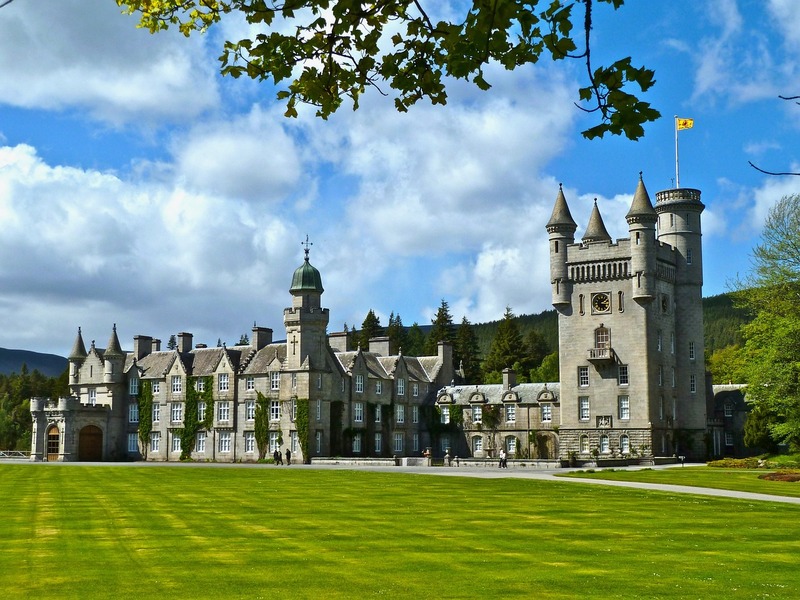 Castles are another big element of the tourism industry in Aberdeen and it would be fair to say that Balmoral Castle is up there with the most famous. This is primarily because it happens to be Queen Elizabeth II’s summer residence in Scotland, so obviously has those elusive royal ties. If you do happen to visit, try and make your way over to Braemar as well. This is a local town near the castle but is made famous because of the Highland Games which are held there every autumn. Put simply, this is Scotland’s equivalent of the Olympic Games! Despite what the name might suggest, no castle exists at Castlegate anymore. Instead, this is regarded as one of the most important points of the cities and houses the oldest building in Aberdeen, in the form of Tolbooth which was historically the city’s prison. There is also the main street in Aberdeen, Union Street, and at 200 years old this has the history as well as the shops and cafes that you would expect from a high-street in today’s age. Some visitors are interested to see the Mercat Cross as well, which holds plenty of significance in the city. This is a white unicorn, and the symbol highlighted in medieval times the right for Aberdeen to hold its own market. If you’re planning a trip to Scotland and you have time to take a wander, then be sure to check out all the things to do in Aberdeen, You’ll be delightfully surprised at all it has to offer. And if you’re looking for more travel tips or budget flights, be sure to subscribe so you never miss a post!